We offer professional assistance in ensuring your budget works for you. We hire the right vendors & work on the wedding program up to the end to end checklist for the big day. Orchestrate on-time, smooth & beautifully decorated wedding, we provide a peace of mind to allow you to enjoy your wedding day. Manage the rehearsal, vendors and the event as well as addressing any issues promptly and discreetly with genuine care. Above all, a professional who cares in realizing your dream wedding. 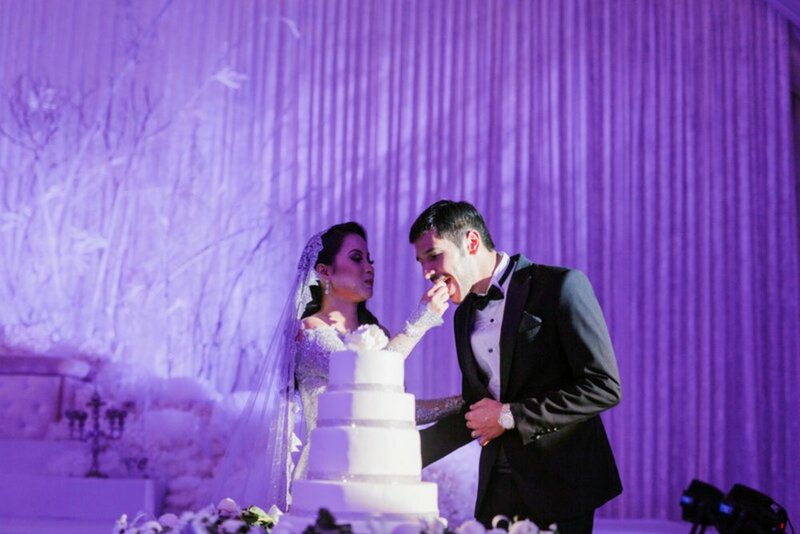 Our wedding services starts from RM2500 and between 10-15% of the wedding budget. The Lead Planner will be a certified bridal consultant and you can rest assured your wedding is in good hands. Each wedding will have a dedicated team to manage the event. The venue is located in Subang, Malaysia called Puteh. It is a warehouse turned into a wedding venue and required a lot of work & planning to convert the place into the “Winter Wonderland” theme that the couple envisioned. Multi-vendors were hired from catering,decoration,lighting, entertainment up to the tables and chairs rental. This is an example of a wedding that would require professional help to meticulously put the event together from planning, execution and managing the event’s program on the day. In 2000 Asian Atelier was established in Singapore by Alin Anuar with an online store brand, Chantiq Skaly for handmade traditional attire - the kebaya. Chantiq Skaly was well received with customers worldwide. Alin, took training to learn the art of kebaya making with Bunda Anne Avantie, a renowned kebaya designer in Indonesia. 6 years later, Chantiq Skaly participated in the Singapore Fashion Week and opened the door for Asian Atelier to expand further internationally. The business continued to thrive and in 2009, Alin launched her first debut in Malaysia’s International Fashion Week. Asian Atelier diversified the business into weddings. Alin became a certified bridal consultant in 2009 and to date has done more than 100 weddings under her belt. With the help of her sisters, the company continues to focus in wedding planning and bespoke bridal wear with presence in Singapore, Malaysia and Indonesia.